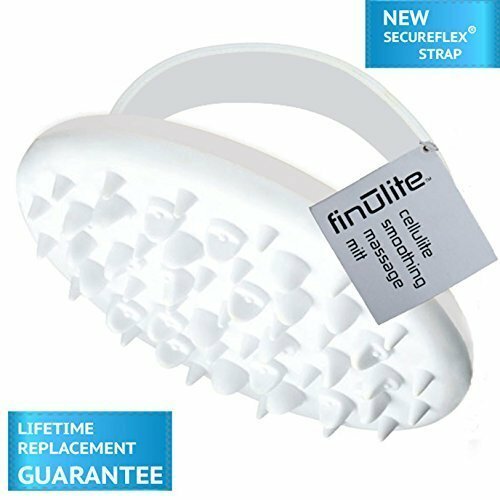 Revitalize, tone and smooth the surface of your skin with Finulite's Cellulite Smoothing Massage Mitt. Specially designed to loosen and break up fat deposits, this lightweight, easy-to-use tool is a MUST in your cellulite fighting regimen. How it works: The soft rubber nubs of this manual massage mitt penetrate deep into affected tissues to stimulate circulation, increasing blood flow to sluggish, stagnant areas. Breaking up fat deposits by draining excess fluids and releasing trapped toxins, your skin will look and feel smoother, tighter and more radiant.